Martha Earl received her Master of Science in Library and Information Science from the University of Tennessee. She is a native Knoxvillian and obtained her undergraduate degree from UTK. Prior to assuming her position at GSM, she served as Head of Reference/Associate Professor at East Tennessee State University College of Medicine Library where she was involved in the Medical Student Education Committee, the Committee on Women and Gender Issues, and outreach to health professionals in rural and underserved areas. Before ETSU, she worked at Meharry Medical College as a Clinical Medical Librarian and also organized information services for the Institute on Healthcare for the Poor and Underserved. At Preston, she serves on the Foundational Curriculum Committee and the IRB. Martha teaches a myriad number of classes for health professionals, students, consumers, and other librarians; and is involved in grant funded outreach to consumers and health professionals. She also teaches as adjunct faculty for the UT School of Information Sciences. She has published numerous articles in library and information science journals and co-authored a book chapter and a book. She served on the editorial board of Hypothesis and currently serves on the editorial board of Tennessee Libraries. She presents regularly at professional meetings. 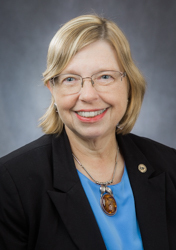 She chaired the Southern Chapter/Medical Library Association Research Committee and is a past chair of the Medical Library Association Books Panel. Martha is a Distinguished member of the Academy of Health Information Professionals and winner of the UT School of Information Sciences Distinguished Alumni Award for 2006. Oelschlegel SI, Earl M, Leonard, K. Consumer health information services and programs: Best practices. London: Rowman & Littlefield; 2016. 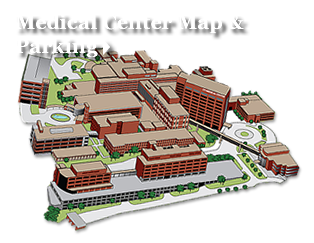 Chapter 2, The University of Tennessee Medical Centerâ€™s Preston Medical Library and Health Information Center; p. 19-34. The obesity epidemic: Why diets and exercise don’t work - and what does, reprint, by Robyn Toomath. (Book Review) Journal of Consumer Health on the Internet. 2017 Dec;21(4):439-440. Health information without limits: A print collection for consumers in the heart of the hospital Journal of Hospital Librarianship. 2016;16(2):132-144. Earl M, Greenwald D, Jennings S, Holderman S, Kinnersley R, Groves R. Leadership institute. Presented at Tennessee Library Association Annual Conference (Invited Lecture); 2016 Apr 6-8; Kingsport, TN.